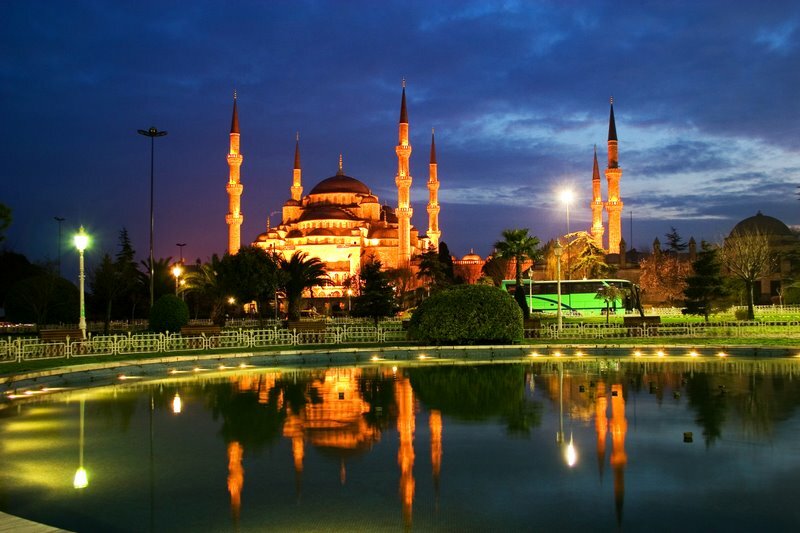 The Sultan Ahmet Mosque is truly an impressive building. 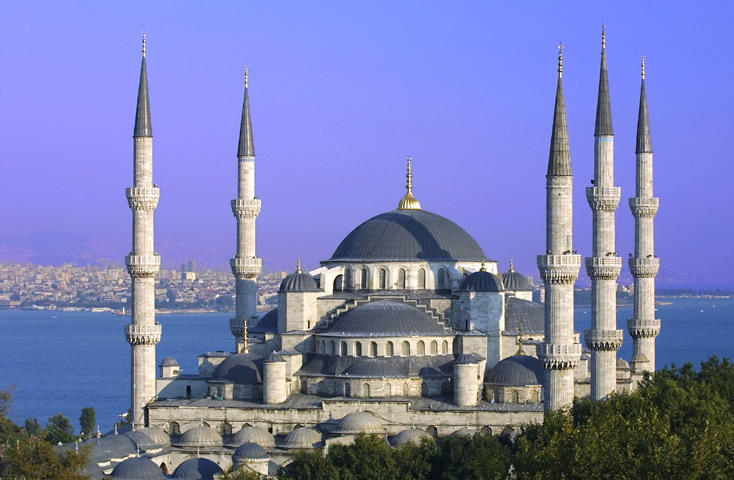 It has six minarets and its domes are placed to form a pyramidal structure. 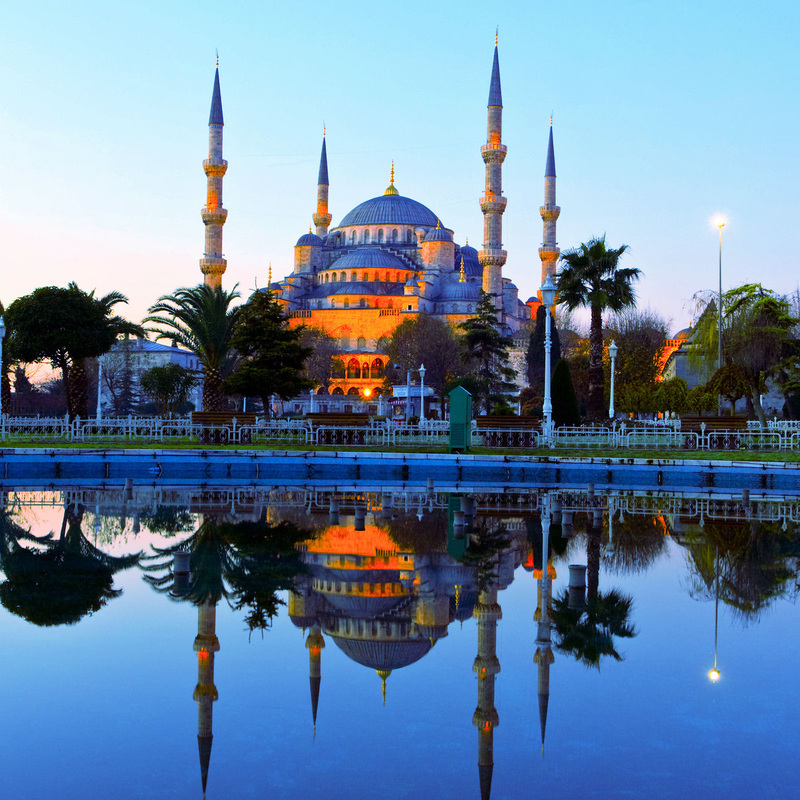 The ceramics used on the facade are blue, giving this building a nickname, the Blue Mosque. 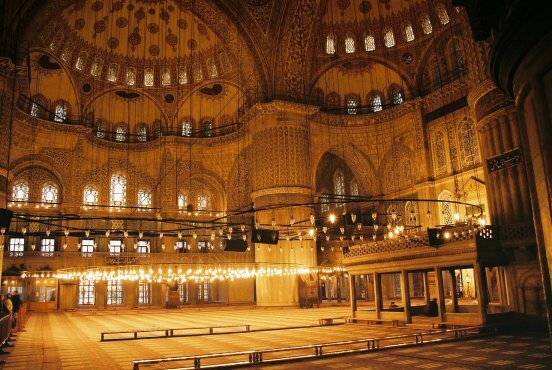 The inside of the mosque is rich with many works of art of famous artists from the Ottoman period. 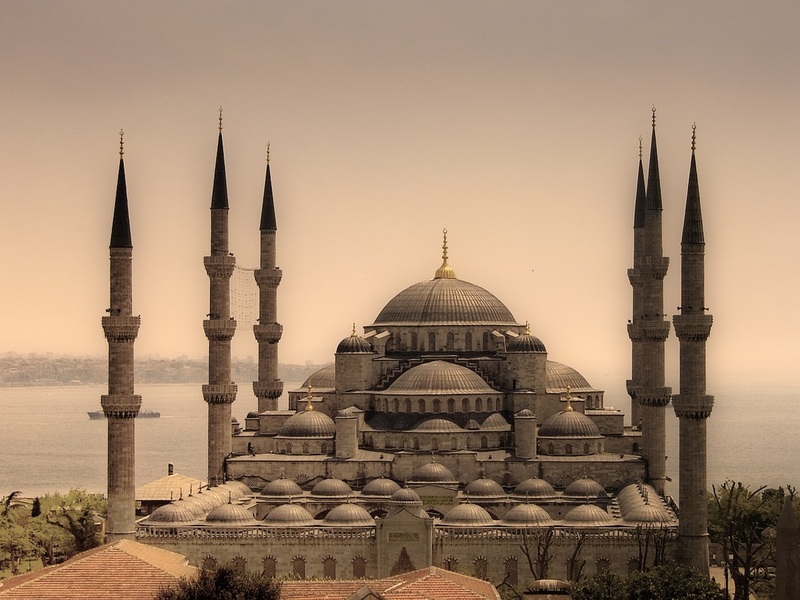 Unlike Aya Sofya, the Blue Mosque is still used as a place of worship. Hundreds of believers come five times a day to pray in this mosque, so it’s closed for tourists during those periods. Also, being a holy place for Muslims, the dress codes are strict. Everyone must take their shoes off before entering the Blue Mosque and women should wear head coverings. Tram goes to Sultanahmet, where major Historic sites of Istanbul are located, including the Blue Mosque.